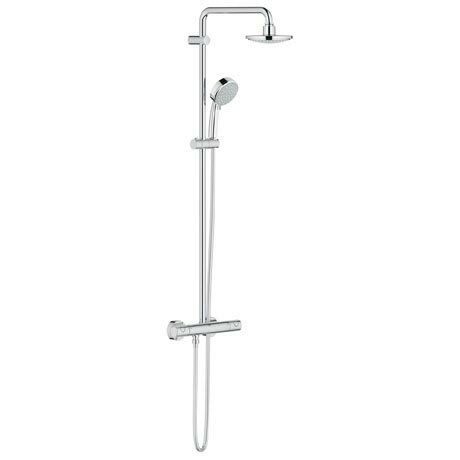 The New Tempesta Cosmopolitan 160 Thermostatic Shower System is the perfect choice for the modern bathroom. It boasts a 160mm head shower that can swivel to create the perfect angle while the shower handset features two invigorating spray patterns. The thermostat's GROHE TurboStat® technology means you can take a luxurious shower secure in the knowledge the water will stay at the pre-selected temperature even if the water pressure changes. This product is excellent quality nothing but the best from Grohe. Good quality and solid and would recommend.